Flying a drone can allow you to capture images that would be otherwise impossible - from sweeping aerial footage to wides and zooms stationary cameras just can’t achieve. Whether you want to create a montage of gorgeous natural landscapes, capture all the action at a big event, or get a breathtaking master shot to set the scene in a feature film, a drone can help your lens see things from new heights. Leveraging aerial imagery for your business doesn't require extensive knowledge of the drone space, however the more familiar you are with the components of a successful drone flight, the easier it will be to request and receive the shots you need. Here are a few questions for you to consider when requesting aerial imagery for your business needs. Will there be clear skies? First things first, always plan ahead. Shooting in challenging weather conditions like rain or wind can result in water droplets in front of the lens that will ruin a shot, or warped and shaky footage thrown by heavy gusts. Though most drones are rated to fly in winds up to 25 mph, if winds are forecast over 20mph it may be worth it to reschedule for a clearer day. If you’re looking for a sky that’ll really make an impact, request your shoot to be done when the skies are open and weather is clear. If the weather changes after you've requested your flight, don't worry! Our team will handle flight rescheduling, and will notify you when we do so. Am I requesting enough footage? A higher volume of images means you’ll have multiple aerial vantage points to choose from when marketing your properties, and it's always better to have the option once your shoot is over! To get a better sense for volume, take a look at our sample package offerings for RRE below. Are the shots slow and steady? We want to help you show off your property as clearly as possible, so slow and steady shots are key for highlighting all the contextual beauty of your property. Operating an aerial camera remotely gives less direct control over its surrounding elements, so it’s important to us that our Pilots move gradually and with a steady hand to keep the picture clear. All Pilots in the DroneBase Network are trained and have the professional skills to accelerate and decelerate slowly to create a crafted, cinematic feel to your requested video content. When requesting aerial imagery, be sure to note any specific shots you are looking for. When we deliver your assets, you will find professional, high-quality shots that effectively show off your property in context. Shooting with a drone gives you a freedom and perspective other cameras can’t - at a fraction of the cost and time. While our team handles all of the technical aspects of executing an order for you, using this information as a foundation for your understanding will help ensure you can request - and receive - exactly what it is that you're looking for. 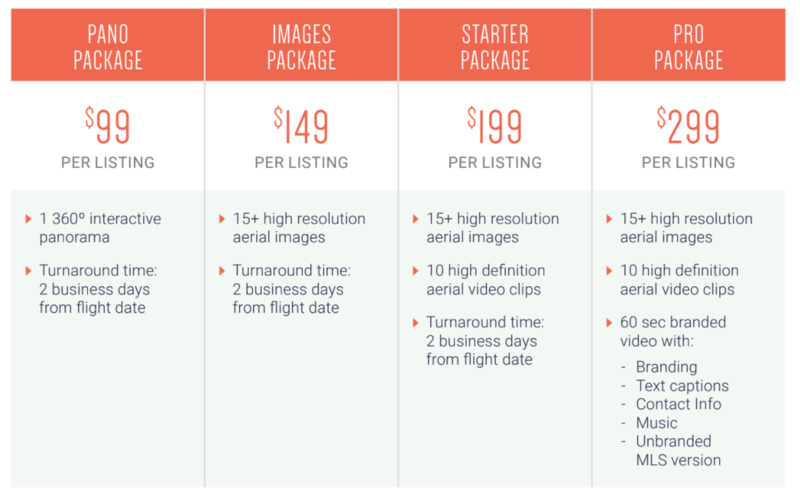 Ready to start leveraging aerial imagery or videography for your business? Contact us today! Kylie Anderson is a freelancer writer, editor, and creative living in Los Angeles, California. She specializes in tech & culture, and has previously written for SiliconANGLE, Complex, BUST, & more. Read more of Kylie's work here. Next PostHow to improve your drone skills - without taking off!